Do you know that today is World Heart Day? Oh no, you don’t? Well, you’re not alone. lol. All the while I thought hearts day is only celebrated in February and it’s just about chocolates, flowers, and cute cuddly bears. Tsk tsk. Thanks to #PledgeYourHeart campaign by United Medical, I learned that today is more special because it’s about making our hearts feel loved – health wise! 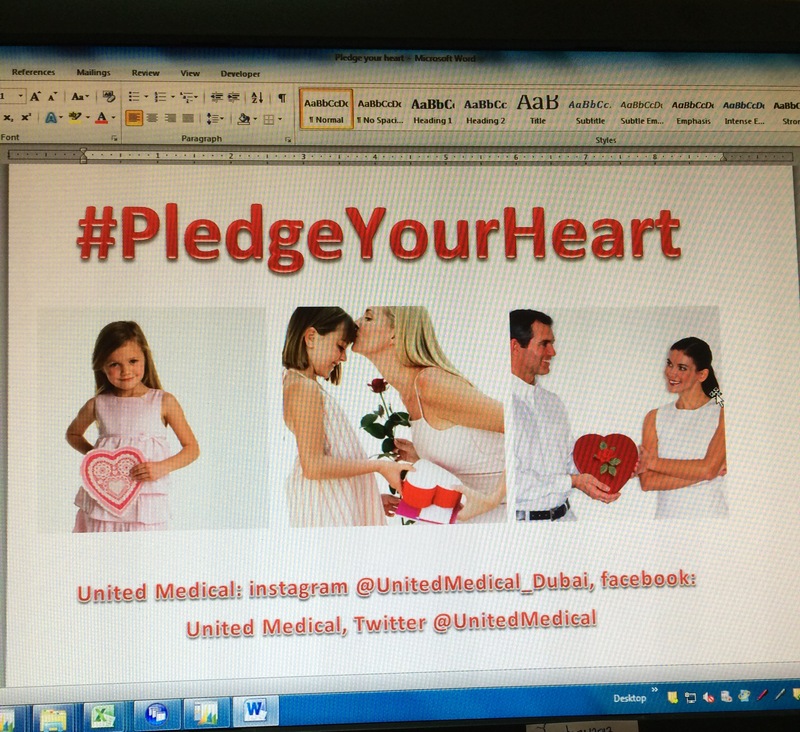 Here in Dubai, United Medical has launched a campaign called #PledgeYourHeart to encourage women to take better care of themselves. The aim is to spread awareness about women’s heart problems/issues and how to lower the risk(s) for heart disease. This is to empower women to make heart health a priority in their daily lives. Here’s mine: I pledge to keep my heart healthy not just for my loved ones but specially for myself. Posted in campaigns, Celebrations, Dubai, Dubai GuideTagged #PledgeYourHeart, #UnitedMedical, #WorldHeartDay, Healthy heart in Dubai, United Medical Dubai, Women's health in DubaiBookmark the permalink.